We're celebrating the arrival of Christmas in a slightly different way this year. Pastry kuehs all decked out in the seasonal colours. 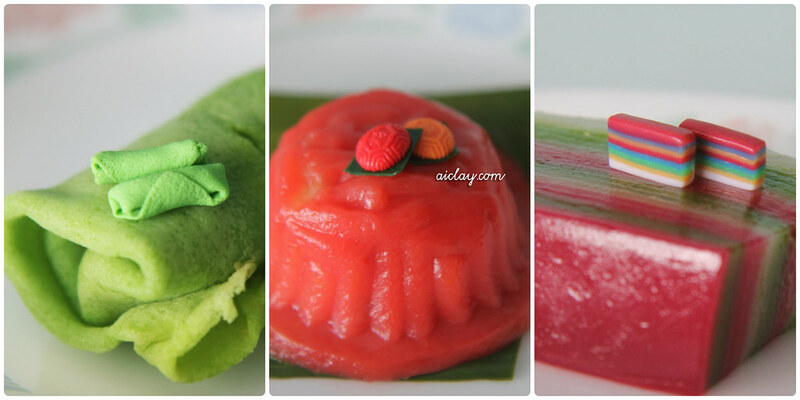 Well, a lot of you have been asking for a workshop where we'll get to make the miniature nyonya kuehs together, so here we go! 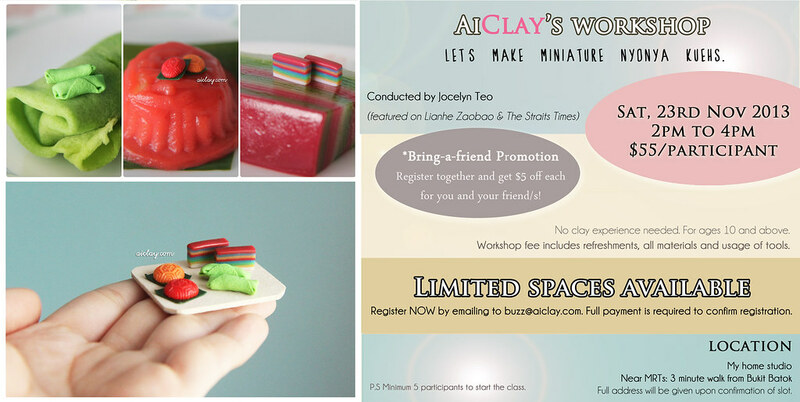 Register early for the workshop, I'll be bringing some real-life, delicious kueh for us to dig into while we craft as well! Email me at buzz@aiclay.com, and don't forget about the bring-a-friend discount! Note that this workshop is 2 hours, and costs $55/pax (before discount).